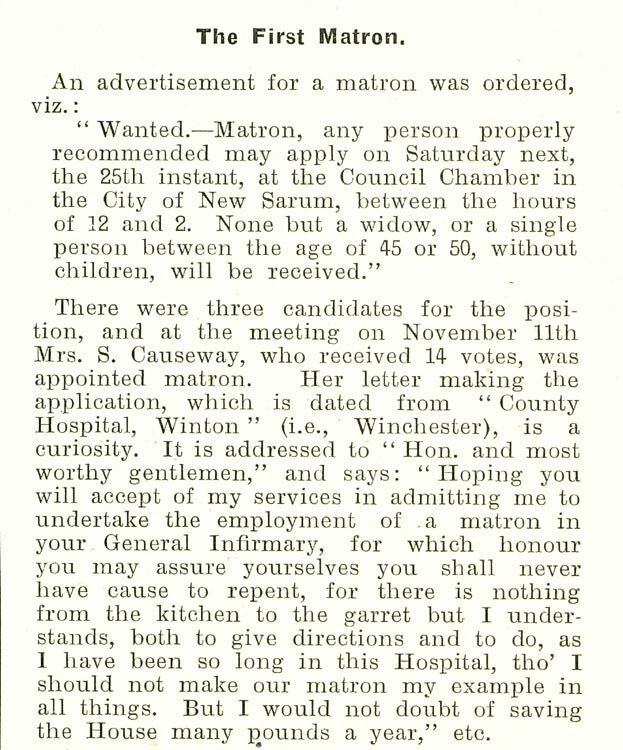 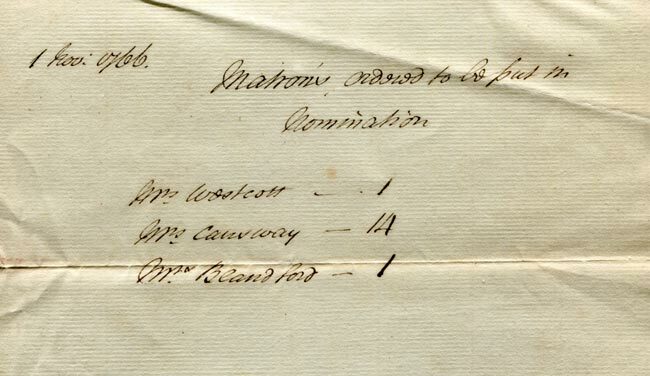 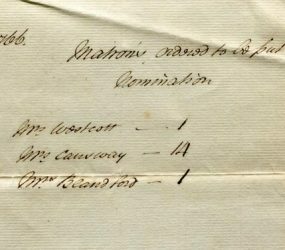 In the archives there are 16 letters and papers relating to the recruitment of the first matron at Salisbury Infirmary. 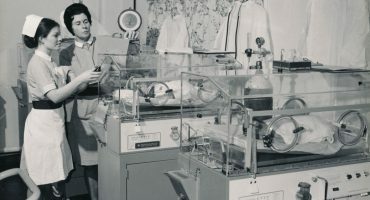 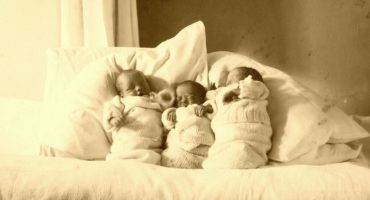 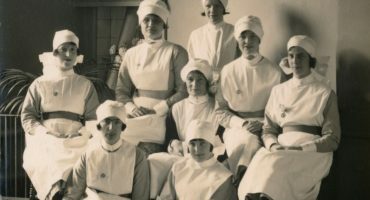 Incredible that they have survived, they provide a unique insight into the views of women, matron and their role in the hospital. 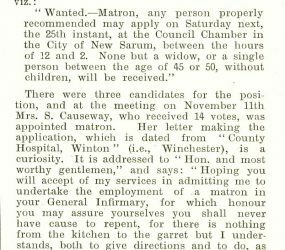 From the final 3 candidates for the position, at a meeting on November 1st 1766, Mrs Causeway received 14 votes to become the first matron. 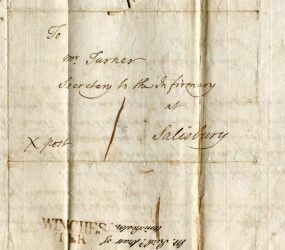 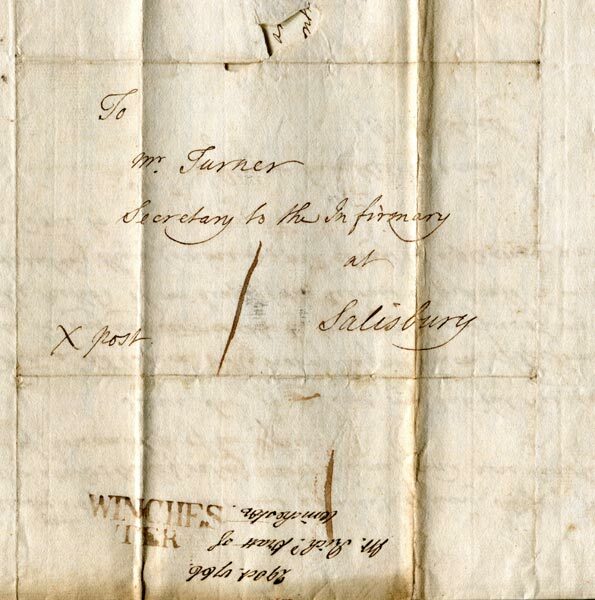 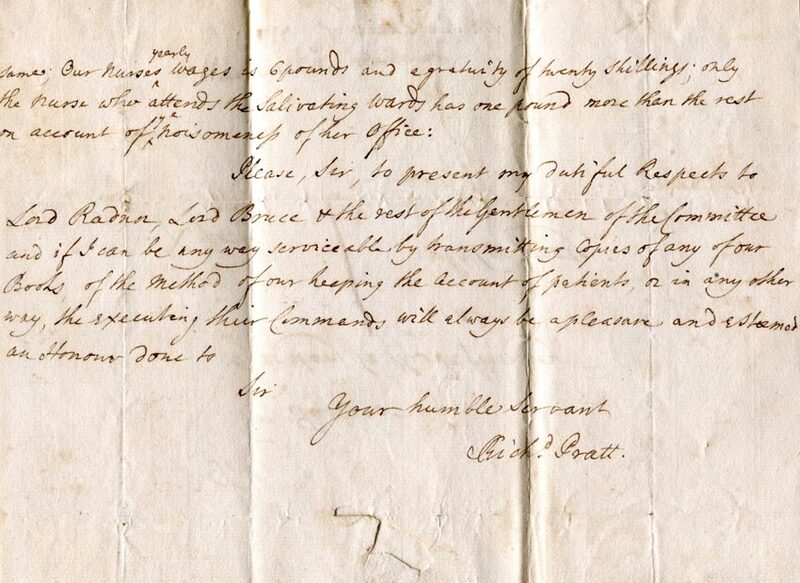 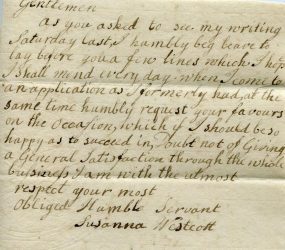 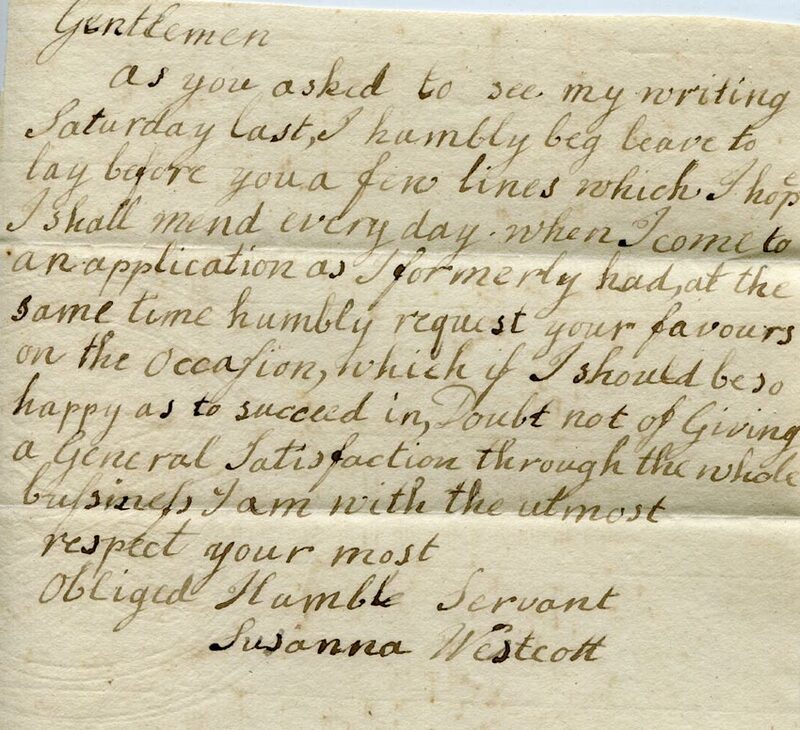 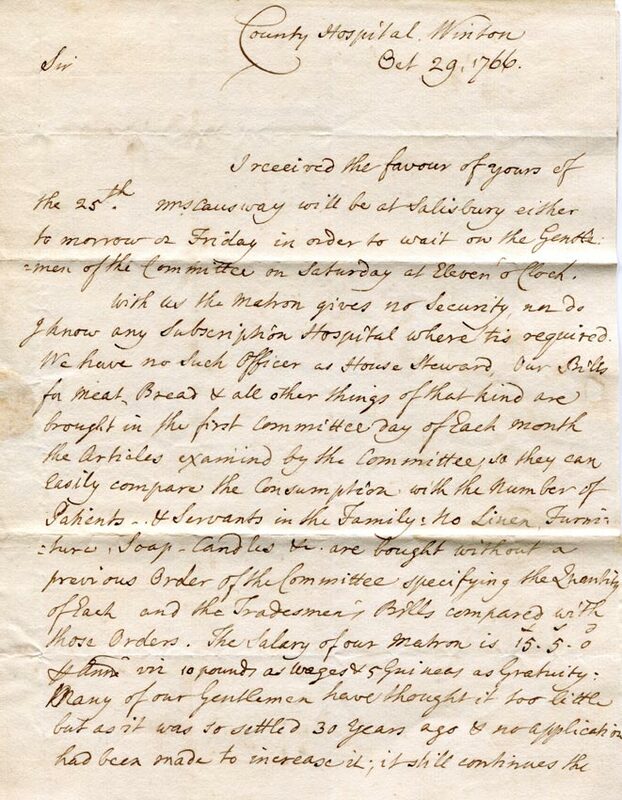 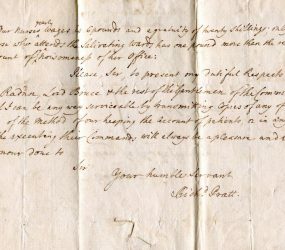 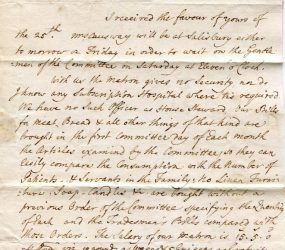 Below is a copy of a letter, dated October 29th 1766, from Winchester Hospital relating to Mrs Causeway who took up the position as first matron.